Cheri DeFries - DeLoach, P.L. Cheri DeFries completed her paralegal studies at Valencia Community College. She is a Florida Registered Paralegal with over 10 years of paralegal experience. 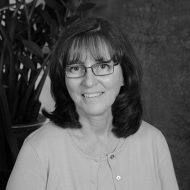 Cheri works closely with clients and during the estate and business planning process. Cheri has two children and a grandson, who is the love of her life. In addition to spending time with her children and grandson, Cheri enjoys photography, knitting, and quilting.